John Payne (9325) Oct 1988-1990 (transferred from Newstead at closure), as Closed Collieries Manager based at Mansfield (d 2014). Roger L Trueman (10009) 1988 (transferred from Clipstone, transferred to Sherwood). Mick D Orchiston (11282) 1986-1988 (promoted from Calverton, transferred to Sherwood). John H Van Ham (11160) 1985-1988 (transferred to Annesley). C Aked (transferred to Thoresby 1988). Technical Assistant C P Jennings (11422) promoted to Assistant Undermanager Bilsthorpe Dec 1982). Paul W Grimshaw (10995) transferred as Surface Superintendent to close the surface down during 1988-1989. Robert (Bob) Bradley ** (4381) Senior Surveyor, appointed Surveyor Apr 1988-Mar 1989 to oversee closure, finish off the mine plans and shafts filling. Both shafts and the pit yard well complex filled by 20th March 1989. Finally concrete caps were laid over the shaft top positions by August 1989. 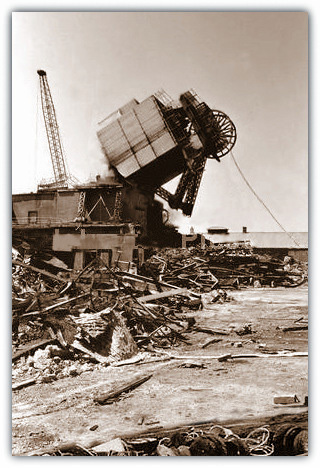 The majority of the pit top buildings were demolished. 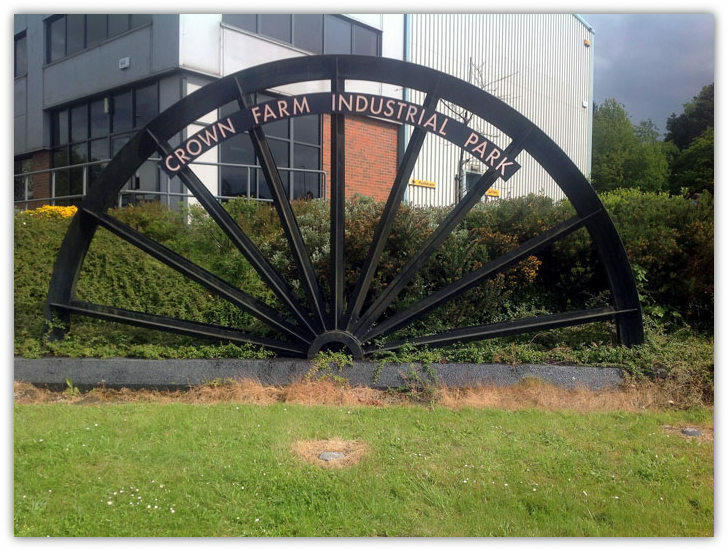 The Crown Farm Industrial Estate is situated on the colliery site and two half winding wheels are situated at the end of the old Pit Lane, off Violet Hill. 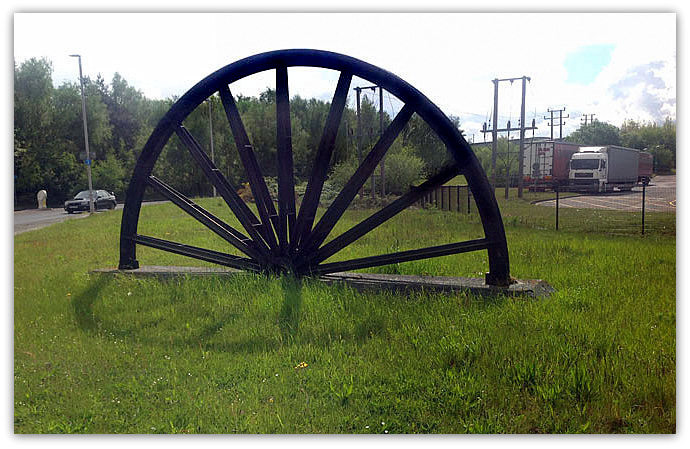 Also two more half wheels are situated part way round the By-Pass road to Clipstone, as below. However on a bizarre note, on 2/4/1917 a Deputy, Arthur Buckley (31) hung himself from a girder underground. 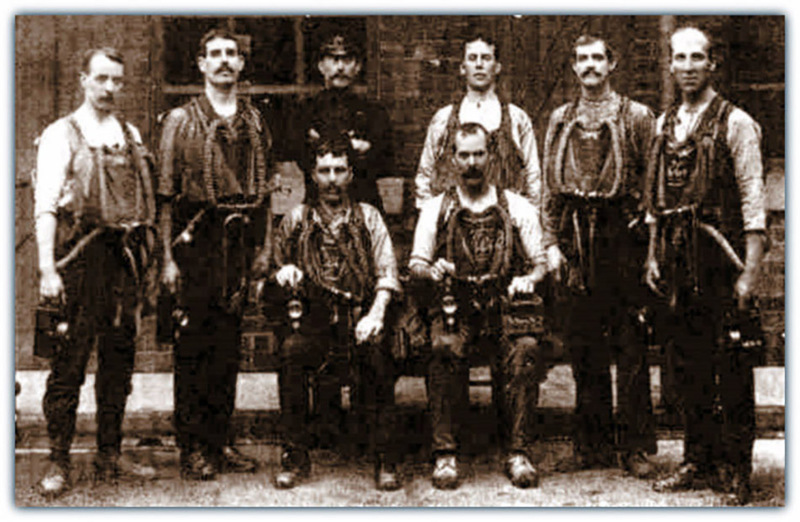 Another was a rope breakage on a manrider whilst hauling men in the 1970s. There was a major fire in the surface MG Room on 8th May 1984 causing a great deal of damage.